Meat-less Mondays aren’t a new thing. They’ve been growing in popularity since 2012 and three years later the movement is still going strong. I love this movement for so many reasons, but especially because it normalizes the idea of having a meal not centered around meat. In the past it’s been very un-American to see carrots or beets (or any veggie) taking center stage on your dinner plate, but more and more it’s changing. For about three years my husband and I were vegetarians and going out to eat, inviting friends over for meals, and eating at other people’s homes were often frustrating and sometimes even awkward. Thanks heavens that now it’s pretty widely accepted that having meat-less meals are not only acceptable, they’re healthy. The average cost of organic carrots is $2.26 a pound. The average cost of regular beef is $4.10 a pound. Did you know that for every pound of meat produced in the U.S., it takes 1,850 gallons of water. For a pound of vegetables it’s only 39 gallons. Not an insignificant amount when you think about the drought in California where much of our food in the U.S. is produced. Limiting your meat intake can help you decrease your chances of cancer. Yes, cancer, the worst “C” word. Even just one additional serving of veggies a day to can also lower your risk of heart disease by 4%. If you’re nervous about what to cook without throwing chicken into a pan, don’t worry, there are tons of vegetarian options. Click on the picture or HERE to find awesome French vegetarian recipes. You won’t regret trying even one of these amazing recipes! Want an awesome blog that features a lot of super great veggie recipes? Check out OhSoDelicisioso– they are amazing, especially their vegetarian chili recipe. Anyone else out there still observe Meat-less Mondays or maybe some of you just avoid meat all together? Any recipes you swear by? We all remember sitting in history class, reading our textbooks filled with important dates, battles and biographical info on historical figures. But I can say that as a girl, many times I noticed how we pretty much only learned about the roles of men in history. Sure, there was a brief mention of Rosa Parks once a year and maybe a quote from an Abigail adams letter, but not anything substantial. I can only remember a few instances where the class focused on a female historical figure for more than a minute. And ya know what, it’s a shame. Boy and girls need both male and female role models and most education curriculums don’t fulfill that need. But ladies and gents, there is good news. 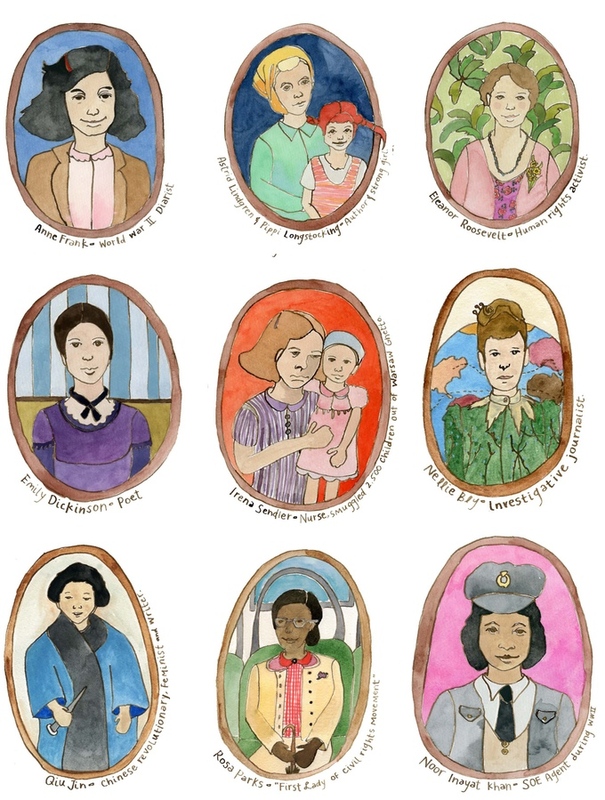 A talented artist, published author, and mother, Ashmae has created these beautiful flash cards depicting female historical figures. 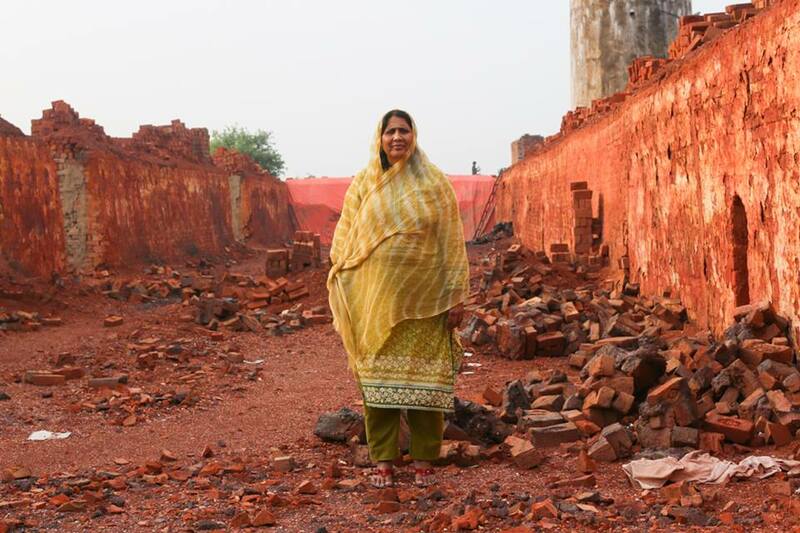 Her KickStarter Brave Women Art describes how she came up with the idea and her hope that this project will inspire not only her daughter, but also her son as well as she communicates women’s important contributions because women and men should know about these female leaders. Her goal also includes rising money to provide these cards to under privileged kids learn about these awesome ladies, which couldn’t be more great. Donations can be as little as $5 but just a $15 donation means you get your own set of cards sent to you in December, just in time for Christmas. I’ve got a few children on my list to buy for this year and it would be a perfect gift, although I have to admit that I want a set for myself. So head on over HERE and check out her awesome story and pick up a set! Today we’re going to talk about everyone’s favorite topic: puppies. Well, young puppies and older puppies (commonly known as dogs). I love dogs. I am solidly a dog person and most of my friends and loved ones are as well because dogs are pretty much the best. You know who else is the best? People who rescue dogs. You guys, the stats out there on homeless pets are terrifyingly awful. I’ll spare you from most of the details except this one: Over 2.7 million dogs and cats are euthanized each year. EACH YEAR. Guys, that is a crazy number of furry souls dying before their time. But back to rescues- these people are saints. One saint that I know and love is Allison Allred who started This One Starfish, a non-profit that rescues dogs from death and helps them find their forever home. She is just one of many who devotes insane amounts of time, money, gas, and love to dogs who have been abandoned and forgotten. They spend so much of their personal resources helping dogs they know they won’t keep, which to me feels incredibly selfless and amazing. When they say that all dogs go to heaven, they forgot to include the people who rescue dogs, because those people certainly do as well. Dog rescue is kind of like holding a bucket under a running sink to catch the water. It’s a good temporary solution but the only permanent fix is to get the water turned off. We can keep pulling dogs out of shelters and busting puppy mills, but the shelters will keep filling up. One way that we can start to turn the sink off is educating the public about the reality of dog shelters. Most dog shelters are not shelters at all. After a few days or sometimes only a few hours the dogs are euthanized. In the best case an adopter shows up to pull the dog before they reach the top of the kill list, but usually the dogs die. People need to educate themselves on these realities and learn the alternatives to dropping dogs in shelters. There are so so many people willing to foster so if you find a dog contact a local rescue first and consider fostering until an adopter surfaces. Even if you can only foster for one night, keeping these dogs out of shelters will save their lives. Another way people can help is by sharing our Facebook posts am following/ retweeting out Twitter page. These shares help us spread the word about our mission and make it possible for us to quickly get dogs out of shelters and find forever families. So all you dog people, let’s make a difference and find a way to support dog rescues and fosters. 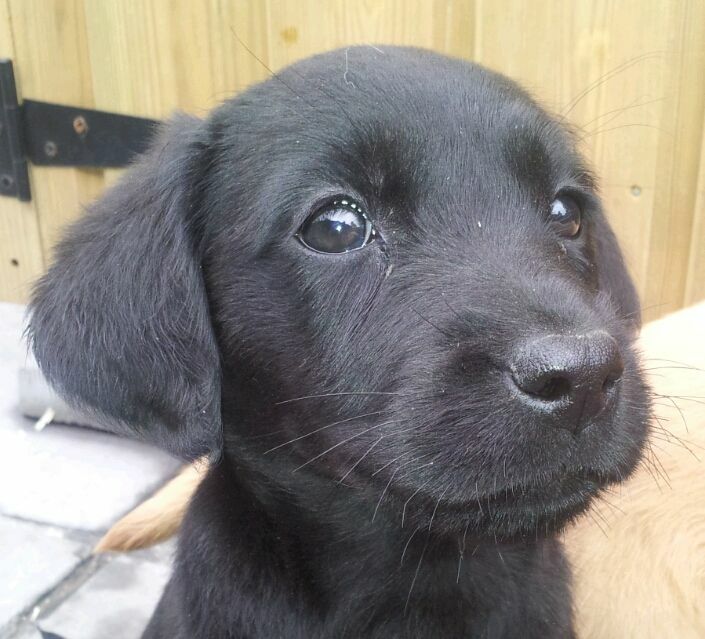 Already helping save puppy lives? I’d love to hear how you’re making a difference! What do you think would happen if we put some of societies youngest and oldest together? A Seattle nursing home has done just that by putting a preschool inside of a nursing home and the results are magical. The elderly patients, all of whom need assistance themselves, have the opportunity to help the children which has helped them create more social bonds. These relationships are extremely beneficial as many seniors report struggling with loneliness and lack of purpose. The children also gain life skills through this endeavor and learn more patience, and tolerance of differences. Watch the video below and contribute to the kickstarter documentary as the director explores this unconventional and happy arrangement. Don’t you love it when a company you already support goes and does something awesome? I don’t know about you, but it totally makes my day. We’re already huge lovers of Austin’s Pizza because they’re local, close, healthy-ish, and straight up delicious. We always order their “Mopac” (it’s essentially supreme) and they always load our pie with tons of veggies. It makes justifying ordering it for lunch WAAAAAY easier. A couple days ago, I needed something fast, and kind of healthy so I called in my order and got in the car to pick it up. Walking in the door, I was greeted by the usual guy but also an additional employee. A beautiful woman, who obviously had Down-Syndrome, was there helping fold pizza boxes and fill orders. She smiled big as Texas when she saw me and her spirit was simply radiant. She was extremely kind, and seemed super happy to be doing her assigned tasks and helping me. 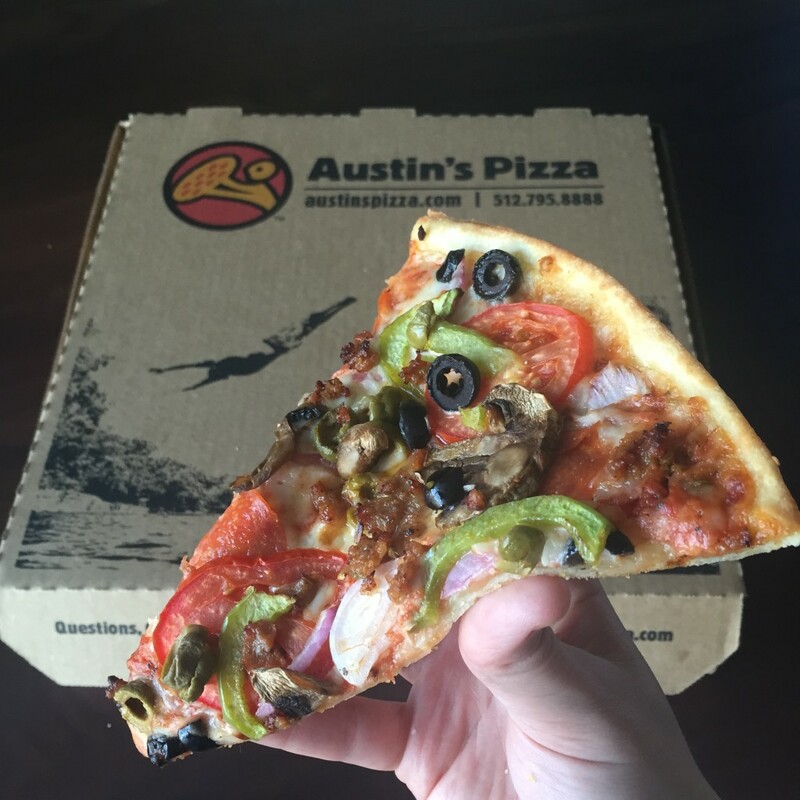 While I’ve never had a negative experience with Austin’s Pizza, I haven’t ever received that level of service and attention during any of my other pick ups or deliveries. Even with her great customer service and sweet smile, I know that hiring someone with disabilities isn’t always the easiest route. They could have hired some high school kid and I’m sure he could have done her tasks far faster and with less help. But they didn’t. They hired her. Walking out, I’d be lying if I said I didn’t tear up just a little. This kind of thing hits close to home as I have a brother who has some physical and verbal challenges. I’ve spent hours talking with my husband about my brother’s future and potential educational and employment opportunities, wondering what he’ll be able to do and where he’ll be able to work. I’ll readily admit, it’s worry that is never far from my mind as he’s nearing eighteen. Talking with that sweet woman not only made my day (her smile was completely infectious), but it also helped me gain a little more hope for my brother’s future opportunities. So today during my drive home, I resolved that Austin’s will forever be our pizza place. I love supporting businesses who do the right thing, instead of just the cheapest thing, and I love telling everyone about it. I’d love to hear more about other companies who are doing it right. Are there any businesses in your community who stand out because of their awesome values? What makes them stand out? So often it’s so easy for me to feel completely disconnected from so much of the world. I’ll confess that I have a bit of guilt when I think about how privileged I am in relation to the rest of the world and it’s often countered with the feeling of smallness and insignificance. But I honestly believe huge change comes from small and simple acts, so often when I feel overwhelmed with the issues of the world (and there are plenty) I look for small ways I can make a difference. It’s fabulous that that I can look amazing and chic in these pjs while feeling amazing for supporting a great cause in a small way. So I’m hoping that each of you will visit their site HERE and pick out an awesome pair of of pjs. Let’s feel good and look good!